In its 10th year, the Honda Indy Grand Prix of Alabama presented by America’s First is a signature event in the INDYCAR circuit. The 2.38-mile road course, with 17 flowing turns and 80 feet of elevation change, challenge drivers and engineers unlike any other track in the circuit. Come out and enjoy stunt shows, wine tastings, Bud’s Best Ferris Wheel and more! The fastest speeds in NASCAR, right up the road from Birmingham. GEICO 500 weekend at Talladega Superspeedway packs events for the whole family into a 3-day experience leading up to the big race on Sunday. 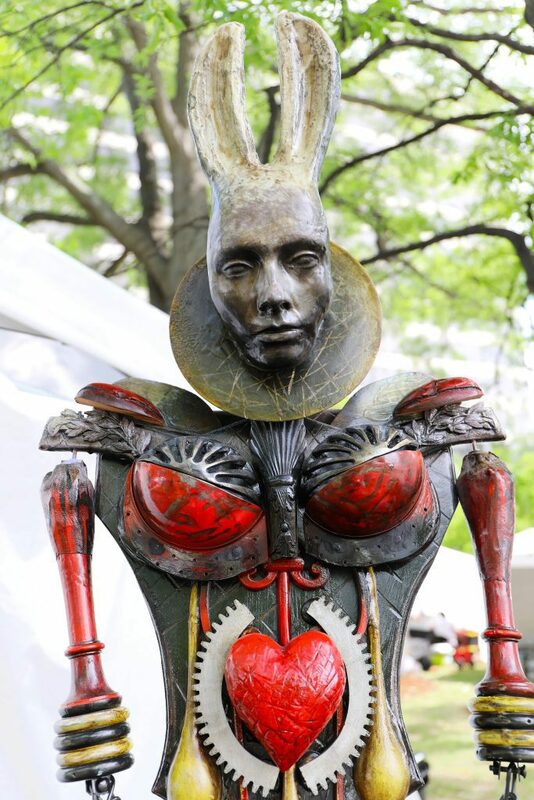 The 36th annual show and Birmingham’s largest arts festival will transform Linn Park with its blast of fresh artistic talent, sights, sounds, tastes, and aromas. #MagicCityArt spotlights 200 artists both locally and nationally and mixes in music, dance, kid’s art experiences, sculpture installations, plus food, special tastings & more. Birmingham’s favorite baseball team returns for the 2019 season with their first home game on April 10. Weekly events include Thirsty Thursday, Friday Fireworks and more. Birmingham Legion FC returns for multiple home games in April. A soccer club playing in the competitive USL, they have captured the hearts of many supporters in their inaugural season. Practice your chants before you go with this useful cheat sheet. Science-minded teams and individuals can try their hand at the classic elementary student competition by building a contraption to keep an egg safe after falling from Vulcan’s 124-foot pedestal. The goal to keep your egg from landing sunny side up! BBQ lovers far and wide, join us for our 7th Annual meat smoking competition! Proceeds will benefit Breast Cancer Research Foundation of Alabama. The outdoor market at Pepper Place returns on April 13. The outdoor market has three areas of tents with farmers, makers and food vendors, live music and chef demonstrations at 9am. 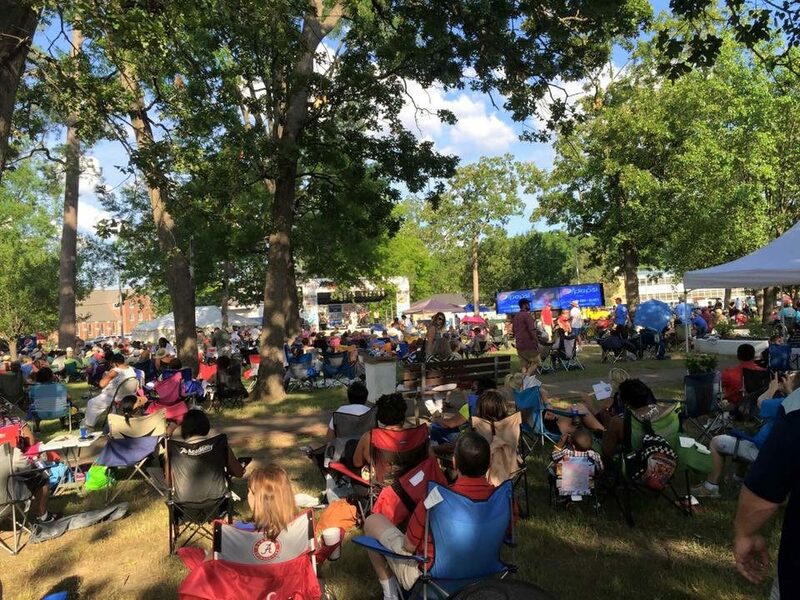 The event will combine the best of blues music and legendary Bob Sykes BBQ at the beautiful DeBardeleben Park located in historic downtown Bessemer. You can expect to hear talented award winning local and national blues musicians. Be sure to bring a chair or blanket and set-up your spot for the day. The Magnolia Festival provides activities and entertainment for all ages in a family-friendly environment. Children can enjoy the carnival experience, ride ponies, and take free art classes while mom can get her shopping fix with 150+ arts and crafts/business booths. Dad can enjoy the Classic Car Show and grandparents will tap their foot to the beat of blue grass bands as well as other genres on three stages of live entertainment. St. Elias has been a pillar of the Lebanese community in Birmingham since 1910. As the parish grew, so did its impact, including the creation of its food and cultural festival in 1999. For the last 20 years, the festival has provided Birmingham with delicious food and a fun, family friendly environment.